Lock in a great price for Avenida Boutique Hotel – rated 8.7 by recent guests! Historic old building with some beautiful woodwork, particularly the stairs. Breakfast was fine. 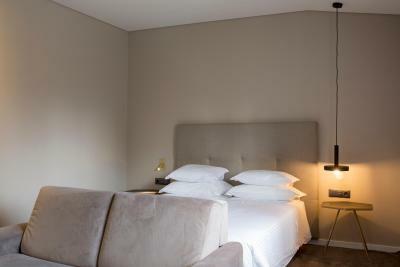 Location perfect,just by the main square(rossio)close to the historic centre and a few minutes from the bus station. Receptionists very helpful in making enquiries about onward travel. A very charming hotel! It still has an old-fashioned style; but very cosy! The front desk was very friendly; and parking was on the street. Also, very close to the center of the city! Quiet room , central location. Beautiful and safe environment . When you're looking for a budget solution for a sports trip with two other friends you need to put things into a different perspective than if you were business travelling as I usually do. It is obvious that this hotel does not have the modern amenities that you're used to, nonetheless it has charm! It's a vintage hotel with vintage facilities and a good service. I fell tempted to say that you get what you pay for but in reality for 18 Eur/ night / person, with breakfast included right in the town center is actually more than you expect. Easy to park in the adjacent streets, within walking distance of all the local attractions, I must recommend it. I must stress though, you need to put things into perspective and embrace the spirit and era of the hotel. Tudo. Quarto confortável, decoração agradável, pequeno almoço no mesmo piso do quarto. Cama confortável e casa de banho grande. Limpeza. Disponibilidade do Staff. Quartos Modernos com imenso conforto. Talvez o melhor Hotel em relação preço/qualidade em Viseu. Excelente localização. Equipe super atenciosa. Hotel moderno, limpo e quarto com excelente isolamento térmico e acústico. Bom café da manhã com vista muito bonita para o centro de Évora. Tudo foi fantástico. Nota 10!!! Parabéns, a todo o staff o hotel é otimo. Precisei de um chá quente com mel às 2 da manha e sem qualquer problema me satisfizeram o pedido. Otima localização, otimo quarto, moderno e muito limpo. Agradável surpresa dado o que custou. Relação preço qualidade fantástica. 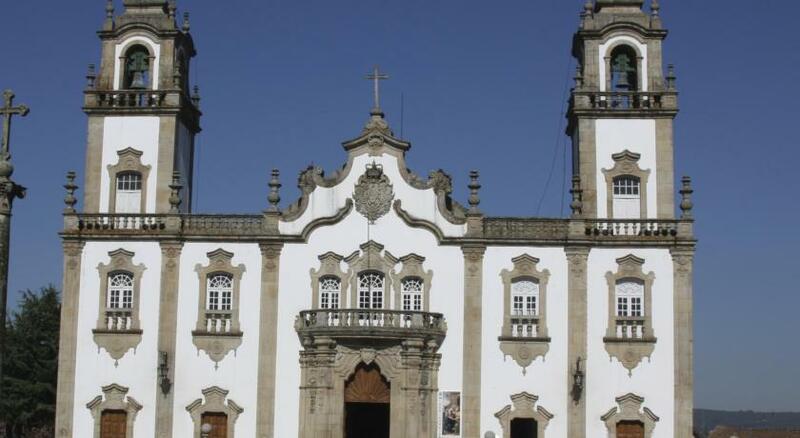 Avenida Boutique Hotel is located in Viseu, a 17-minute walk from Viseu Misericordia Church. 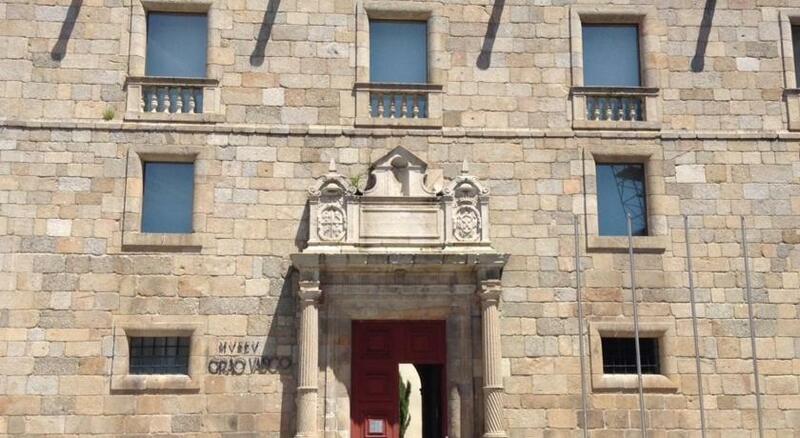 Around 1.2 miles from Musica Moderna de Viseu, the property is also close to Museu de Grao Vasco. Viseu Cathedral is 1.3 miles away. All rooms in the hotel are equipped with a flat-screen TV. Rooms have air conditioning, and certain rooms at Avenida Boutique Hotel have a patio. At the accommodation, every room has a private bathroom with free toiletries and a hair dryer. Guests at Avenida Boutique Hotel can enjoy a buffet breakfast. Guests at the hotel will be able to enjoy activities in and around Viseu, like cycling. Languages spoken at the reception include English, Spanish and French. When would you like to stay at Avenida Boutique Hotel? Featuring 2 single beds, this room also comes with cable TV and a private bathroom with toiletries. Featuring 1 double bed, this room also comes with cable TV and a private bathroom with toiletries. House Rules Avenida Boutique Hotel takes special requests – add in the next step! Avenida Boutique Hotel accepts these cards and reserves the right to temporarily hold an amount prior to arrival. Please note that the property will be undergoing renovation in its premises until the end of December, 2019. Guests are kindly advised to inform management about food allergies and/or intolerance. Maybe some renovation would be worth. Hotel very dated and old fashioned which might appeal to some but felt like the 1970s in décor.Noisy due to building work quite near my room(not at night).No Air-con so the fan was barely adequate given the august heat.Room rather small. There was no hot water at all in my room as the staff said that there were some problems with the pipes. I wasn't able to take any shower. The hotel agreed to make some compensation. They refunded me part of the rent. The pillows were a bit too hard. Other than that, had an excellent night sleep. The elevator did not work. We were able to carry our luggage up the stairs, but others would have trouble with this. Obviously, there is some kind of remodeling done to the building. Don't know if this remodeling will improve the hotel. Our room faced a side street and the pedestrian crossing signal beeping could be heard in our room all night.